Learn English in Fort Lauderdale by taking a course with our partner school, TLA (The Language Academy). 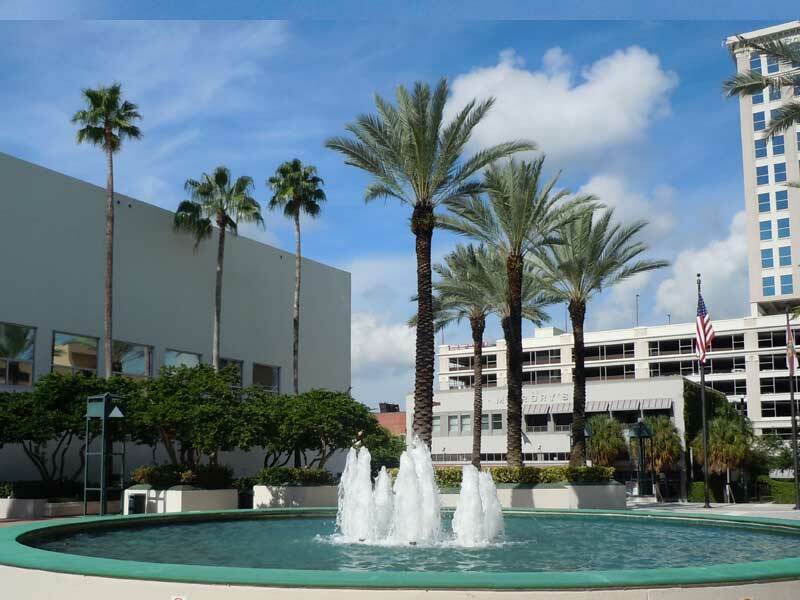 Founded in 1997, TLA is situated in a modern building in the heart of Fort Lauderdale’s financial district. The school has a first class team of teachers and administrative staff who will help you to feel at home from you very first day of class. Learn English in Fort Lauderdale by taking an intensive course. TLA offers intensive courses with either 20, 22 or 32 lessons per week. If you choose to take a 20 lesson a week course, you will not need an I-20 visa if your country is part of the I-20 visa waiver programme, but with the others you will. The lessons focus upon communication and centre upon grammar, vocabulary, conversation, writing and listening comprehension. The intensive course can either take place in the morning or in the afternoon. Complete beginners may be required to attend some private lessons prior to joining a group. The price stated here is for an airport transfer upon arrival at Fort Lauderdale airport per person per way. An airport upon arrival at Miami has a price of € 175 per person per way. Please state on the booking form which transfer you would like to book. In 2019 the school is closed on: 01/01/2019, 27/05/2019, 04/07/2019, 02/09/2019, 28/11/2019, 29/11/2019, 25/12/2019. Missed lessons due to bank holidays are not being rescheduled or refunded. If you prefer a more personalized language program without missing the learning fun within a group, we recommend you the minigroup course. Here you will get 20 lessons of English per week in a group of up to 5 participants. This guarantees a personal learning environment in which you can concentrate on specific topics. 1. This business English course in Fort Lauderdale has a very professional focus, which is based upon the development of basic communication skills so that you can express yourself with ease in this field. You will have conversation, listening and writing classes which are focused solely upon business English. The course consists of 20 lessons per week, in a group of a maximum of 5 students. To take this programme you will not need an I-20 visa if your country is part of the I-20 waiver programme. For the second course you will need an I-20 visa, even if your country is part of the visa waiver programme. The Cambridge exam preparation course in Fort Lauderdale consists of 20 lessons per week, all dedicated Cambridge exam preparation lessons with a specialised teacher. The course has a duration of 8 or 10 weeks and prepares you for the CAE or CPE examn. All lessons are taken as part of a group with a maximum of 12 students per class. In order to take the Cambridge exam course in Fort Lauderdale, you should have at least an intermediate knowledge of English. The price of the Cambridge exam course does not include the course materials (approx € 93) nor the exam fee (approx € 346). The Cambridge exam courses might need an extra night of accommodation due to the exam date. Price of an extra night on request. Exams are computer based at the school. Students interested in preparation courses for paper-based exams (offered at outside locations), please contact us for details. The TOEFL exam course consists of 20 group lessons per week plus hours of supervised self-study. The minimum time you can take this course is 4 weeks, and you must have at least an intermediate level. To take this course you will need an I-20 visa even if your country is part of the I-20 visa waiver programme. On the same start dates and for the same price you can also start TOEIC exam preparation. The price of the TOEFL preparation course does not include the course materials (approx. € 93) nor the exam fee (approx. € 346). Students are responsible for making their own test appointment. The test fee (credit card required) is payable to the official test center. Stay with a host family whilst you learn English in Fort Lauderdale. The host family accommodation in Fort Lauderdale includes half board and a double or single room. Double rooms can only be booked by two people who are travelling together. You may ask about the availability of an en-suite bathroom. The families are situated around 20 minutes away from Fort Lauderdale city centre, where the school is situated, using public transport. All host families have WIFI internet access. The studios in a residence are situated 20 minutes away from the school by public transport right by the beach. The studios are fully furnished and equipped with a kitchen and bathroom. Bedding is provided, and you will also find a television and telephone. The studio can be shared by two people who are travelling together. All the studios have WIFI internet access. You have access to a swimming pool. The studios (type budget) are located in the downtown or residential area of the city. You stay in a single room with your own bathroom and kitchenette. All apartments have air-conditioning. Kitchenettes are equipped with cooking utensils. Bed linen and towels are provided. Wireless internet, cable TV is included, and you’ll have a washer and dryer on site. Apartments are located in residential neighbourhoods close to commercial areas with stores and supermarkets, a 15 to 25-minute bus ride to school.